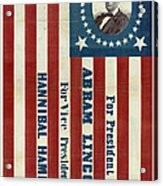 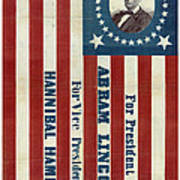 There are no comments for Lincoln 1860 Presidential Campaign Banner. 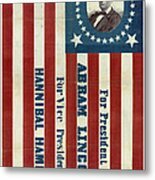 Click here to post the first comment.
. Abraham Lincoln (February 12, 1809 – April 15, 1865) was an American statesman and lawyer who served as the 16th President of the United States from March 1861 until his assassination in April 1865. Lincoln led the United States through its Civil War—its bloodiest war and perhaps its greatest moral, constitutional, and political crisis. 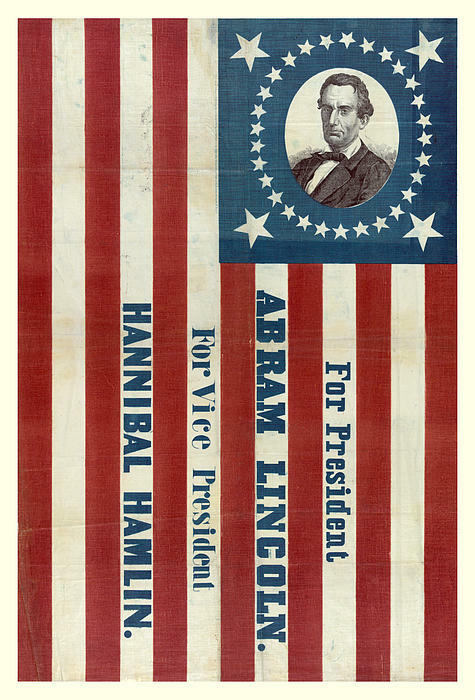 In doing so, he preserved the Union, paved the way for the abolition of slavery, strengthened the federal government, and modernized the economy. Photographic images by John Stephens © .